We have added Blue Bottle! 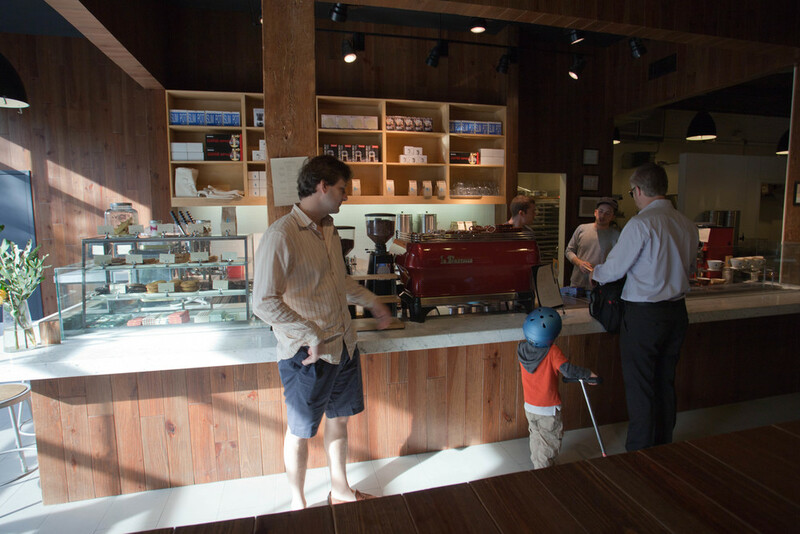 We are super excited to start carrying Blue Bottle as part of our office service. For our current customers, we'll have an initial set of offerings out starting this week. Below are some photos we took while at their Berry Street Roastery, seeing how they like to do their pours. The biggest difference between these guys and Stumptown is a philosophical one. 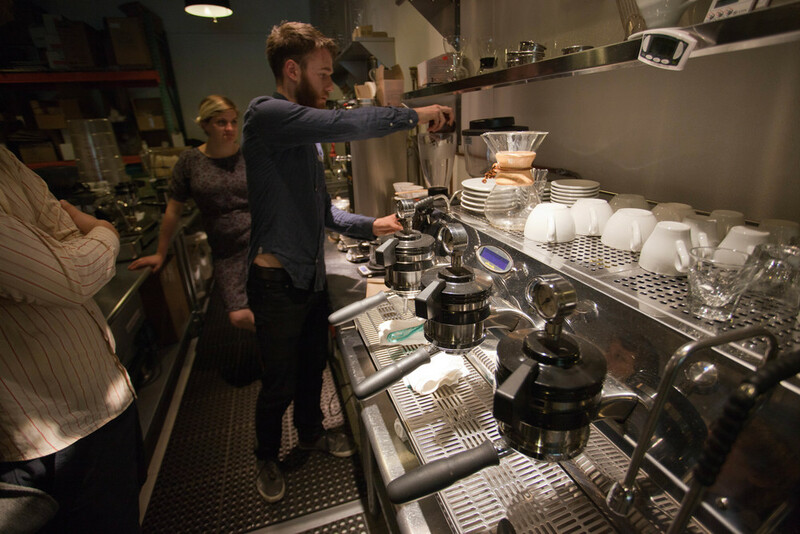 A Blue Bottle Coffee Barista type will make many minute changes to pour rate, grind, and timing over several iterations to slowly zero in on the perfect cup of coffee. Stumptown, by contrast, has hard and set technique, that focuses on timing things perfectly, according to a prescribed method. Both make good coffee, so really, it's a mater of preference. Anyway, here are some photos.